Your little one will feel like a star in this sweet and playful style by Superga&amp#8482 Kids. Extra-strong, unlined and fully breathable canvas upper. Lace-up closure for a secure fit. Cushioned footbed cradles little feet in comfort. Textured sole for traction and stability. Measurements: Weight: 4 oz Product measurements were taken using size 19 (US 4 Toddler), width M. Please note that measurements may vary by size. Weight of footwear is based on single item, not the pair. Express yourself with these bright kicks from Superga. Lace-up sneaker boasts a sturdy cotton canvas upper in colorful prints. Cushioned footbed provides sustained comfort for all-day wear. Natural rubber outsole offers traction and durability. Machine wash, air dry. Imported. Measurements: Heel Height: 1 in Weight: 14 oz Platform Height: 1 in Product measurements were taken using size 39 (US Women~s 8), width Medium. Please note that measurements may vary by size. Weight of footwear is based on a single item, not a pair. 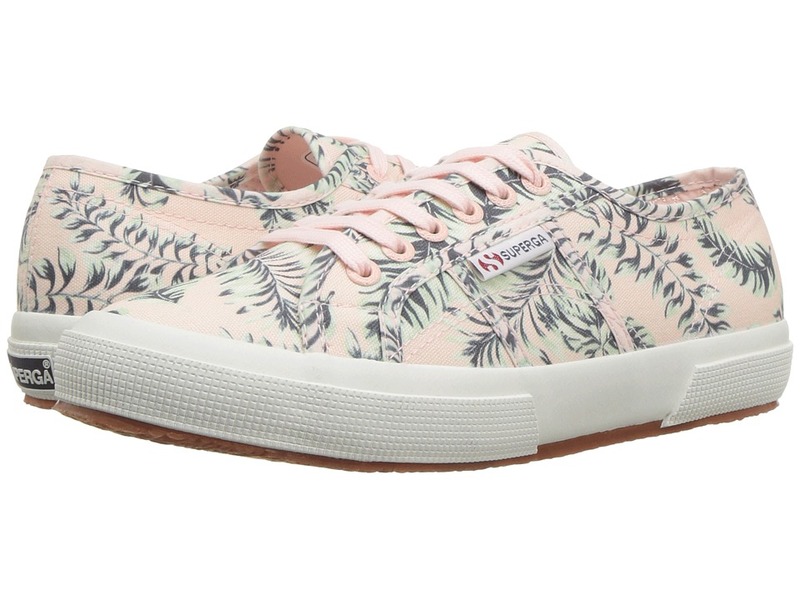 The Superga 2750 COTU Classic Sneaker is the casual shoe of your dreams. Lace-up sneaker boasts a sturdy unlined cotton canvas upper. Cushioned footbed provides sustained comfort for all-day wear. Natural rubber outsole offers traction and durability. Machine wash, air dry. Imported. Measurements: Weight: 8 oz Product measurements were taken using size 39 (US Men~s 6.5, US Women~s 8), width Medium. Please note that measurements may vary by size. Weight of footwear is based on a single item, not a pair. Sweeten your seasonal stride in the sporty Superga&amp#174 2750 SueU Sneaker. Supple suede upper. Lace-up closure with metal eyelets for an adjustable fit. 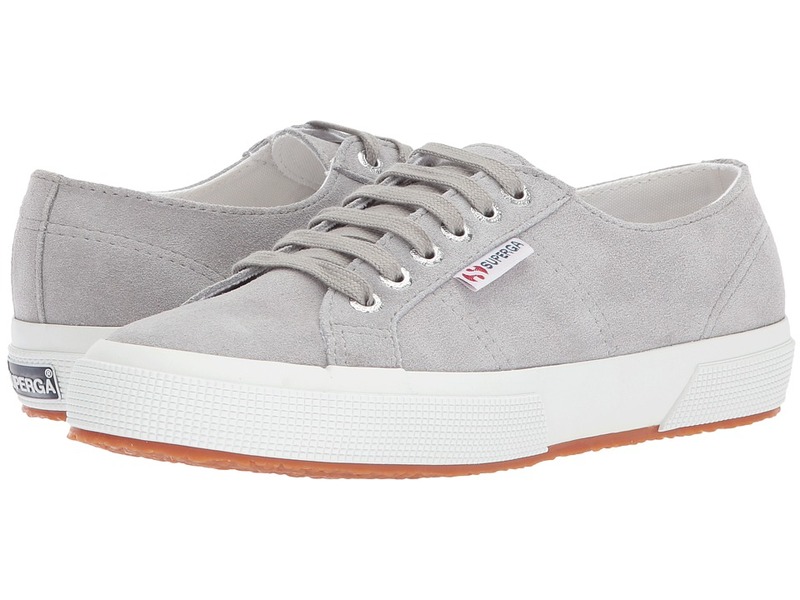 Signature, round-toe Superga silhouette. Iconic side branding tag. Soft textile lining ensures an abrasion-free environment for all-day wear. Lightly cushioned, non-removable footbed massages the foot with each and every step. Natural rubber outsole offers traction and durability on a variety of surfaces. Imported. Measurements: Weight: 15 oz Platform Height: 1 in Product measurements were taken using size 38 (US Women~s 7.5), width Medium. Please note that measurements may vary by size. Weight of footwear is based on a single item, not a pair. Cultivate cool kicks no closet diva can live without! 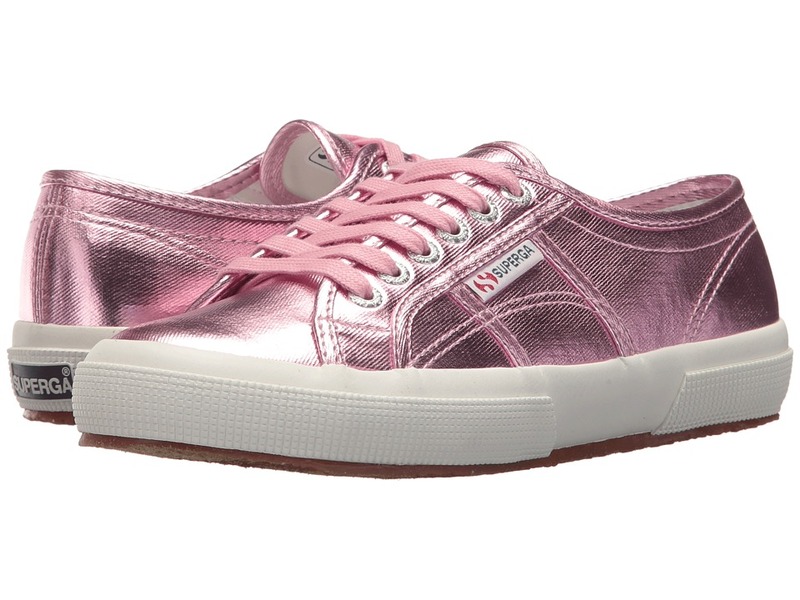 Shimmer and shine from head-to-toe in the Superga 2750 COTMETU Sneaker. Shiny metallic textile upper. Lace-up closure with metal eyelets for an adjustable fit. Signature round-toe Superga silhouette. Iconic side branding tag. Soft textile lining ensures an abrasion-free environment for all-day wear. Cushioned, non-removable footbed provides sustained comfort for all-day wear. Natural rubber outsole delivers long-lasting durability on a variety of surfaces. Imported. Measurements: Weight: 8 oz Platform Height: 1 in Product measurements were taken using size 39 (US Women~s 8), width Medium. Please note that measurements may vary by size. Weight of footwear is based on a single item, not a pair. Classic everyday sneaker. Extra-strong, unlined and fully breathable pure cotton upper. Lace up for custom fit. Cushioned insole offers extra comfort. Durable rubber sole for traction. Machine wash cold, air dry. Imported. Measurements: Weight: 10 oz Product measurements were taken using size 33 (US 2 Little Kid), width M. Please note that measurements may vary by size. Weight of footwear is based on a single item, not a pair. 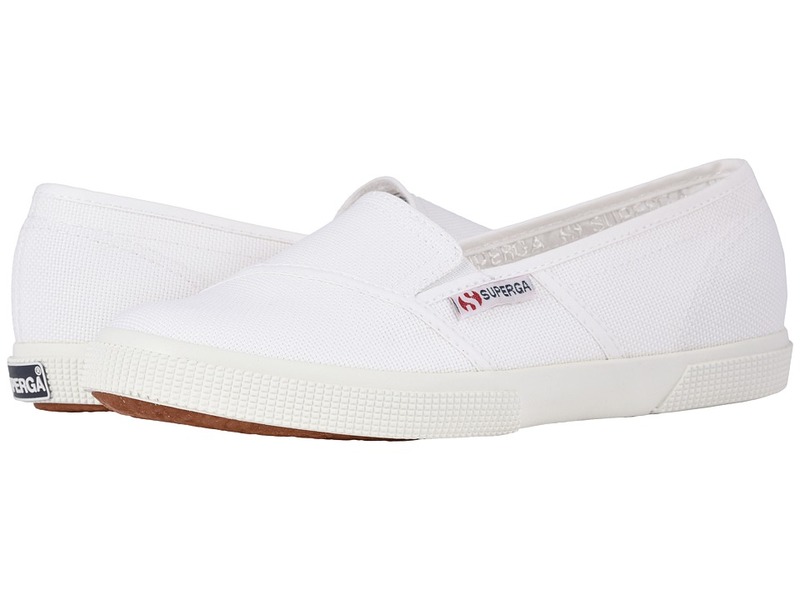 Make it sleek and chic with the Superga 2210 COTW Slip-On Sneaker. Slip-on shoe boasts a sturdy unlined cotton canvas upper. Cushioned footbed provides sustained comfort for all-day wear. Natural rubber outsole offers traction and durability. Machine wash, air dry. Imported. Measurements: Weight: 11 oz Product measurements were taken using size 38 (US Women~s 7.5), width Medium. Please note that measurements may vary by size. Weight of footwear is based on a single item, not a pair. Add chunky appeal to those stems with the fashion-forward 2790 Acotw Platform Sneaker by Superga. Breathable cotton upper. Lace-up closure. Soft canvas lining. Cushioned footbed. Natural rubber outsole. Imported. Measurements: Heel Height: 1 1 2 in Weight: 15 oz Platform Height: 1 1 2 in Product measurements were taken using size 38 (US Women~s 7.5), width Medium. Please note that measurements may vary by size. Weight of footwear is based on a single item, not a pair. The newest in modern style! Metallic synthetic upper. Lace up for custom fit. Canvas lined for added comfort. Rubber sole for traction. Imported. Measurements: Weight: 10 oz Product measurements were taken using size 33 (US 2 Little Kid), width M. Please note that measurements may vary by size. Weight of footwear is based on a single item, not a pair.